Economic sanctions are becoming increasingly central to shaping strategic outcomes in the twenty-first century. They afford great powers a means by which to seek to influence the behaviour of states, to demonstrate international leadership and to express common values for the benefit of the international community at large. Closer to home, they can also offer a 'middle way' for governments that apply them, satisfying moderates and hardliners alike. For some great powers in the multipolar world order, however, they pose a threat to trading relationships. They may also serve as a prelude to military action. With China's international voice growing in prominence and Russia asserting its renewed strength, often in opposition to the use of sanctions, it will be ever more difficult to reach a consensus on their application. Against this backdrop, knowing what kind of measures to take and in which scenarios they are most likely to work is invaluable. This Adelphi focuses on the different sanctions strategies of the United States, China, Russia, Japan and the EU, with regard to the unfolding nuclear crises in Iran and North Korea. It examines how these measures, designed to marginalise the regimes in both countries and restrict their ability to develop nuclear weapons, have also influenced the sanctioning states' international partners. 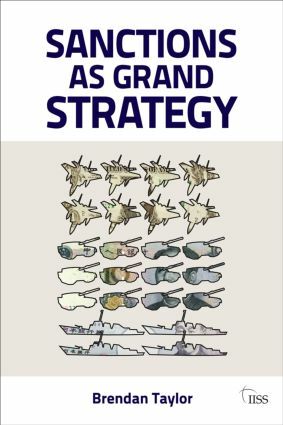 As such, they are not just a tool of statecraft: they are potentially an important facet of grand strategy.